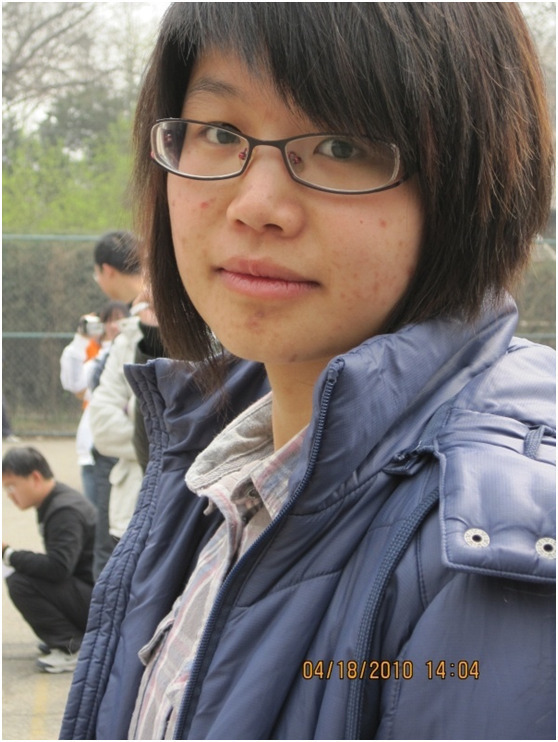 Peking University graduate Sun Min was one of the 16 student and labor activists detained by authorities across China between November 9 and 11, and as of today her whereabouts remain unknown. This most recent round of detentions is part of a state crackdown on rising labor activism by students at elite Chinese universities, led by self-described communists who espouse Marxist and Maoist principles and have devoted themselves to promoting workers’ rights. An earlier round of detentions in August led to the disappearance of fellow Peking University graduate Yue Xin, whose current whereabouts are similarly unknown. Last week, a group of PKU graduates signed an open letter on behalf of their missing fellow alumni. A Warning for Modern Times: Invest Everything in the Workers, Dare to Be in the Vanguard! Editor’s note: Sun Min, a Peking University graduate student and researcher, has long been busy defending workers’ rights. In March 2012, at the Omron Corporation strike, she promoted the organizing of a labor union, and struggled vigorously to promote reform in the Shenzhen Labor Union. More recently, during the Jasic incident, when she heard workers had taken the initiative to propose establishing a labor union, she was full of zeal, and provided energetic support. She always paid close attention as events progressed, while actively supporting the heroic struggle of workers and students. Unexpectedly, these righteous actions caused her to suffer a vicious attack! Sun Min is a genuine Marxist of the contemporary era. Everyone who knew her, classmates and workers alike, sensed her blazing passion, staunch ideals, and convictions. She forsook the glorious prospects of a Peking University graduate to join the workers, offer them a rallying cry, and seek opportunities for their advancement. However, this righteous person was unexpectedly taken by police on November 9. Her whereabouts are unknown. Sun Min was born in a rural village in Hunan province. Her childhood provided her a deep understanding of the lives of farmers and migrant laborers. Many of her childhood playmates weren’t admitted to university, early on they flowed into the ranks of the migrant laborers. Through her own personal striving, she became one of the rare college students from her village. Later, she passed the graduate student entrance exam and did sociology-related research at Peking University, but she never studied for her own advancement. She was focused on how to ease the suffering and hardship of the toiling masses. She spent her undergraduate years at China Women’s University. As a freshman she joined the school’s Three Rural Issues Association, which concerned itself with agriculture, rural areas, and farmers. She became a political activist for the association. 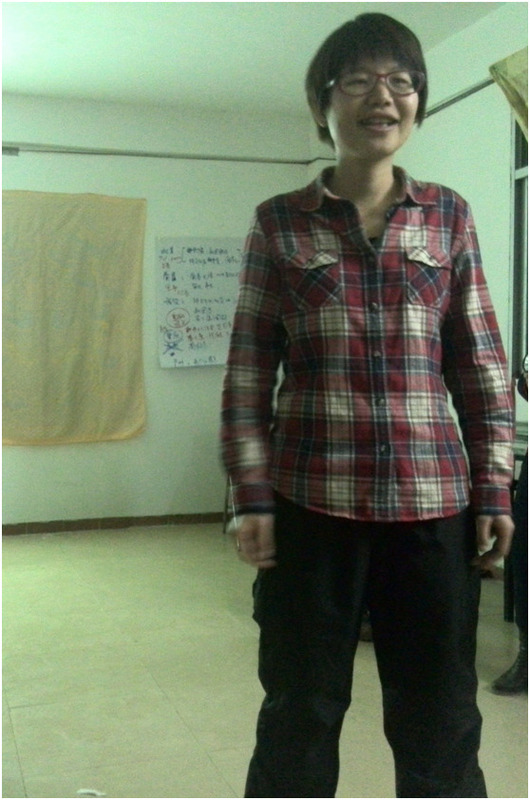 She participated in most of the group’s activities, especially liking the weekly trip to Beijing’s perimeter villages. This program provided education to underdeveloped areas and helped the children of migrant workers. She was always a bit depressed when she returned. “Those children are so adorable,” she said. “I feel like they’re my own little brothers and sisters. But they’re always moving. They don’t have stable homes. Many of those parents are too busy to take care of their children. The kids turn out antisocial and depressed.” She resolved to persist in bringing them education. She felt this was her duty, despite the two-hour commutes to the villages every weekend. Also with Three Rural Issues, she went to villages to do research and service. These communities reminded her of her hometown, stripped of adults in their prime, who’d all gone off to do manual labor and left behind mostly old people, women, and children. Seeing the neglected “left-behind children,” and old people left alone and sick by impoverished families, she couldn’t help deep reflection. She decided something had to be done, the fate of these common people on the lowest rung of society must change. In her senior year, she chose to intern with public welfare organizations in Beijing, serving the manual laborers on the city’s fringes. She often visited construction sites, organized activities for manual laborers, researched and surveyed, and wrote policy proposals. She befriended many workers during this process. From then on, she stood in solidarity with these welfare organizations and worker communities, giving them her voice and assistance. Still just an undergraduate senior, she made a surprising decision: she would sit the graduate program entrance examination. To seek opportunities for worker advancement, she explained, she needed more knowledge. With this resolution firmly made, she began studying for the exam—and she passed, no small feat. She said that actually her score was not so good, placing her toward the back of the line. But the teachers fell for her frontline experience and her aspirations. At Peking University, her research was oriented toward women’s studies. Her focus never drifted far from rural areas and workers. She went to Ningxia and to the Northeast for her research on rural areas and women’s studies. Her graduate thesis concerned female migrant workers. These women, she said, were like her childhood friends. Senior middle school graduate certificates in hand, they entered a handbag factory built on foreign capital to do manual labor. She learned deeply, through experience, about the alienation and exploitation mentioned in “Das Kapital.” The workers went through their repetitive actions like robots, day in and day out, and couldn’t stop for a rest. On top of this, they suffered the abuse and harassment of management. For a month of toil, the salary couldn’t even buy a handbag. These women sacrificed their youth to create value that was snatched away. Moreover, generation by generation they’d been reduced to slaves of capital. She recalled one incident in particular: during a factory’s morning lecture, the boss, swollen with arrogance, stood on a high platform recklessly hurling insults at his workers. The workers hung their heads, quietly listening. Witnessing this, Sun Min couldn’t hold back tears. She couldn’t understand why the workers had to suffer this kind of grievance! Was it fair!? She recorded all of this in her thesis, but she wasn’t satisfied being a mere researcher. Research, she said, was just the first step toward change. In March 2012, in the Longgang district of Shenzhen, Omron factory workers went on strike, seriously discontented with their salaries and benefits. Sun Min happened to be in Guangdong at the time, doing research in the countryside for her thesis. When she heard the news, she immediately set out for the Omron factory. She saw many workers scattered around the factory gate. At the time, such strikes were not regarded as news. Since the 2008 economic crisis, the factories of the Pearl River Delta had been reducing salaries and benefits. Day by day this evil intensified. Although base salary was going up, supplemental benefits and welfare were actually being reduced. With the fast-rising price of commodities taken into account, worker salaries were like a dead car, relaying on workers’ effort to advance even a bit. There might have been a time when the Omron workers could’ve been like other workers, striking, upping their salary a bit, only to have it dragged back down a few years later to its 2012 level, their boss squeezing them in a variety of ways. But this time it was different! After striking to demand higher salaries, the Omron workers proposed organizing a labor union! Wang Tongxin, chairperson of the Shenzhen Labor Union, later borrowed momentum from the Omron workers’ struggle and proposed union reforms. Did he, or other labor movement scholars, sense something strange that March? Among the many labor struggles going on at the time, why did the Omron workers alone propose organizing a union? It was thanks to Sun Min. After visiting the factory gate and assessing the workers’ situation, she quickly traced things back to the 2008 economic crisis, an opportune moment seized by capitalists to launch an all-out attack on the working class. The capitalists protected themselves by increasing their exploitation of the working class. Salaries obviously declined. But demands for higher salaries and benefits would only satisfy the workers’ short-term needs, without enabling them to fight back against the capitalists’ overall attack. Sun Min took the long view. She felt the workers should organize a union. The workers’ social stratum needed its own organizations. A union could give the workers the power and stamina they needed to confront these already “atrocious” capitalists! Therefore, Sun Min presented information to the Omron workers, educating them on the 2010 South China Sea Honda strike. She explained how the Honda workers went on strike, why they’d organized, and how salaries had changed after they had their union. At first, this information was like a fairy tale to the Omron workers. “Wow, that was effective? But our situation is different. The government surely won’t let us organize.” But slowly, the workers came around. This was due to Sun Min’s persistence, her unusual zeal for the common people, her Marxist conduct, her in-depth study of the Honda workers’ struggle, and her ability to dispel doubts with meticulous and comprehensive explanations. Workers no longer felt they were hearing a work of fiction. This was a new direction for their struggle! But Sun Min felt her face-to-face encounters were insufficient. Word-of-mouth wasn’t going to do the job. There were too many workers to convince. Moreover, although many workers were becoming interested in a union, the novel ideas involved were hard to convey to their fellow workers with the same clarity that Sun Min could. Only a few aspects could be transmitted. They couldn’t explain the whole. Because of this, Sun Min adopted a new method. She printed out a presentation on the South China Sea Honda workers’ struggle for a democratic trade union. This became labor union study material for the Omron workers, a means of propagating the union cause! After the Omron factory struggle, Wang Tongxin, chairperson of the Shenzhen Trade Union with reform ideals, used the Omron workers’ demands to propose direct election reforms for 163 trade unions in Shenzhen. 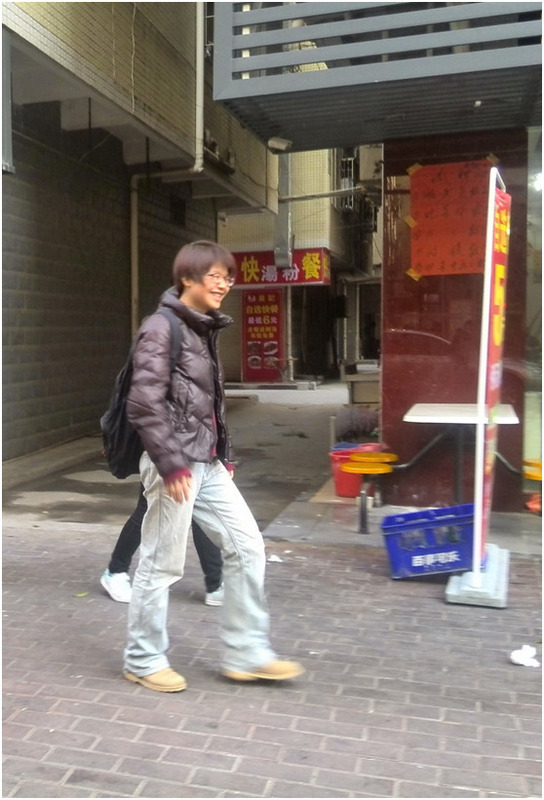 He then continued to explore and seek reform for the Shenzhen Trade Union. If the Omron workers’ struggle spurred the reform of Shenzhen trade unions, then Sun Min undoubtedly played a vital but little-known role in the process! Through all of this, she realized that migrant workers were not weak at all, but rather constituted a body full of power. “Freedom Through Truth for Service” was Sun Min’s favorite school motto. She put it into practice through her actions. After graduating Peking University, she resolutely set off on the path south. She went to be among the workers, to be part of the large migrant worker community. She worked with them to the best of her ability. She firmly believed in Marxism. She had no use for the system of values centered on mainstream fame and profit. She stationed herself in the industrial zone for six years. She also idolized Qiu Jin, the anti-Qing revolutionary, and Xiang Jingyu. She held them as pioneers of the Chinese women’s liberation movement. They had paved the way for feminism, and merited study. After graduation, she first joined a community organization. She supplied cultural activities to workers, while trying to apply Xiang Jingyu’s early exploration of women’s work experiences to her own work. Her colleagues recognized her special dynamism, her power to inspire, her principles and strong adherence to truth, and her knack for trailblazing. She often said it was important to have faith in workers. She could always discover workers’ merits and facilitate the exhibition of their superiority. Although busily bustling about here, she felt rich and complete, able to help the workers in every way. While doing community work, she always paid close attention to labor unions. After digesting the history of Guangzhou auto parts industry unions, she was particularly excited. So much so, in fact, that she later decided to abandon stable work, and go to Guangzhou to research unionism in the auto parts industry. However, at that time the unions of Guangzhou’s auto parts industry had already been suppressed by government and by capital. Union chairpersons who’d dared to speak up for workers had been dismissed or transferred. But Sun Min believed the workers, once awakened, could never again lie dormant for long. They would surely stand up again and strive for their labor union rights. Sure enough, after 2017, NHK Spring Precision Company factory workers launched a new struggle for a labor union. They had just generated this impetus–and President Xi Jinping was also promoting labor union reform, urging unions to more closely engage with workers–when Sun Min was arrested. How Long Can a Frail Body Endure Police Interrogation? Sun Min’s health has always been poor. She often had stomach issues and was unable to eat. During her years in the industrial zone, her unhygienic and unregulated diet exacerbated her stomach problems. Due to her poor health, she would wear a light jacket even in summer to avoid catching a cold. Nevertheless, she’s been arrested by police and her whereabouts remain unknown. We don’t know if she’s being tortured for a confession. We don’t know what sort of grueling trial she’s enduring on the inside. Don’t forget Sun Min’s iconic smiling face. Though unknown to the public, her tireless efforts for workers, workers’ rights, workers’ struggles, and the working class, were real and comprehensive. They must not be forgotten.